For men and women alike, losing tummy fat and getting rid of the love handles is one of the most difficult things to accomplish. When it comes to losing belly fat, you feel lost and get fed up that no matter what you do, you just can't seem to loose belly fat. Do you find yourself often trying new "diets" that you hope will help you lose your stomach fat, and in the end only to find that the "diet" did not work as hoped, and you didn't seem to make any progress at all? There are literally hundreds of different diets out there, but most of them do not work. Some of them are too restrictive on what you can eat, others completely reduce or even eliminate carbohydrates from your diet, and other diets that force you to eat foods that you simply do not enjoy. These types of diets never work in the long run to help you lose tummy fat because you eventually give up on them. I bet you've see dieters who has been through yo-yo weight loss many times - each time gaining back what they lost, and even some extra weight. Perhaps you might have had this unfortunate experience yourself. The weight loss myth (and false idea) that you can spot reduce and some how specifically target your tummy fat is perpetuated by the weight loss industry - in fact, there is a huge industry targeted at helping people losing their love handles. You see it all the time - infomercial segments selling all types of ab gadgets and diet pills that claims to help you burn off your tummy fat. Ab belts and the old fat jiggling machines comes to mind. Yet, there are many people who will take the perceived easy way out of a long term problem, and unfortunately, it never works. With all these ab gadgets that claim to target your belly fat and help melt away the belly fat, have you ever wondered why they always include a "free" exercise and diet program? That's because the people selling these ab miracle products know that the only true way to lose tummy fat is with a good diet and exercise program that works to help burn off fat overall. 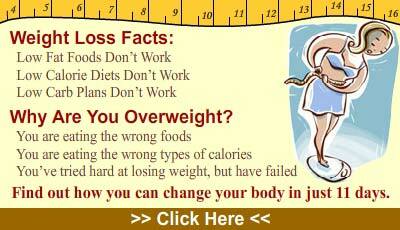 Save your hard earned money, instead of throwing it away at ineffective weight loss products. You cannot spot reduce - there is no way for your to some how specifically target your stomach area and get rid of belly fat. There is no tummy fat exercise, and no diet pill that will allow you to spot reduce. The only way to lose your tummy fat is to reduce your body fat overall. There is no other way around it, and there is no magical solution to some how specifically target your belly fat. No amount of abdominal exercises will help you get rid of your stomach fat. The common misconception is that doing ab exercises that works out the stomach region will eventually lead to toned abs. While doing ab exercises will work your ab muscles and oblique muscles, you still won't be able to see them with a layer of tummy fat covering them up. To burn fat overall, you need a combination of sensible diet and nutrition that creates a calorie deficit along with a exercise and cardio training program. There is no instant, quick solution to losing belly fat. It takes time and patience. You have to be dedicated and determined in your resolve to lose tummy fat. It's a constant battle for many people just to stay on track with their program - so, additional effort and motivation is needed to ensure long term success. Be consistent and take measurements to keep track of your fat loss progress, and to help you stay motivated. By taking measurements, I don't just mean taking recordings from the weight scale, but also keep track of the changes in your body fat percentage and body composition, and recording body measurements using a measure tape. These are some of the key points you should be aware of when it comes to losing your stomach fat. Some of it may sound a bit discouraging, but if you still insist on spending money on miracle ab gadgets that claim to help you melt away belly fat, you should stop reading now. But if you believe what we listed about makes sense and will help you get on the right track to burning away body fat, and eventually lose the love handles, then keep reading, and learn about the real methods of fat loss. To burn fat and reduce tummy fat, you need a good diet - a diet that will naturally increase your metabolism that is not too restrictive, and at the same time creates a slight calorie deficit that allows for weight loss. To reduce belly fat and body fat, you need to increase your metabolism. The tough part about it is that as you diet, and reduce your weight, your metabolism tends to naturally adjust downwards to match your reduced body weight, and reduced calorie intake, making it more difficult to burn off additional fat. There are several things you can do to help maintain a higher metabolism for sustained fat loss to decrease tummy fat. Increase your lean muscle mass - the more lean muscle you carry, the more calories you burn. You will have a faster metabolism, and will have an easier time getting rid of your body fat. Split up your daily calorie intake over 5 to 6 small meals. If your planned daily calorie intake is around 2400 calories, then you should aim to get around 400 calories over 6 smaller meals. Eating frequent meals throughout the day increases your natural metabolism. Eat foods that burn fat, and avoid foods that make you fat. Try to eat more foods such as vegetable, fruits, whole grains, and lean proteins, and avoid foods high in saturated fats. Short, but intense cardio workouts burn less calories for the workout session, but will increase your metabolism for hours after you are finished, resulting in more calories burned. The best way to burn fat is not just with cardio exercises and dieting - you need a good combination of strength workouts, intense cardio sessions, and a good diet with a slight caloric deficit to induce fat loss. 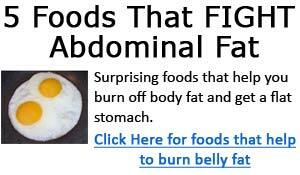 Only by losing body fat overall, will you be able to remove tummy fat. In the following articles, we will cover dieting, exercising, and cardio training.